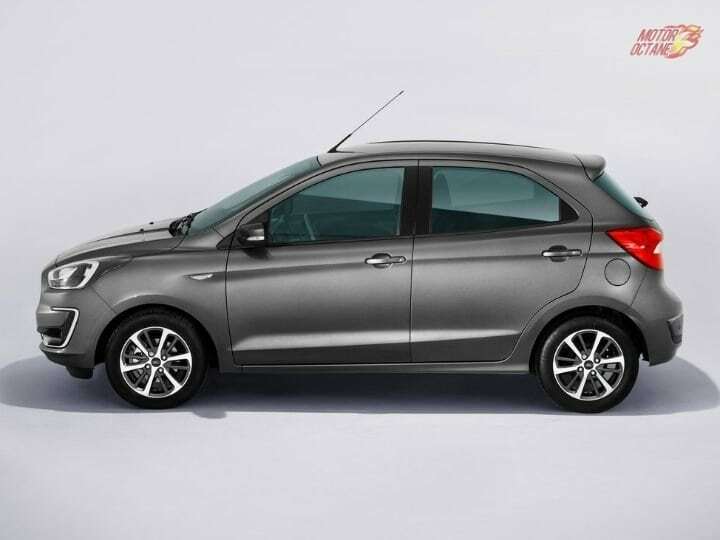 The new Ford Figo 2019 facelift is going to be launched this month. Just like the Aspire facelift, the Figo will also get some styling updates, a new heart and new features. There will be more features also offers this time. The Figo has seen a complete change a few years back. The new car looks better and has decent features, but also lacked a few. 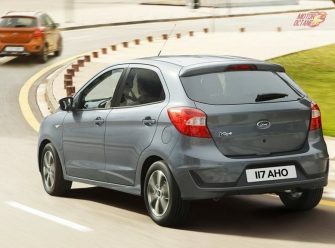 The Figo is especially talked about due to its powerful 1.5-litre motor that gives the competition a run for its money. 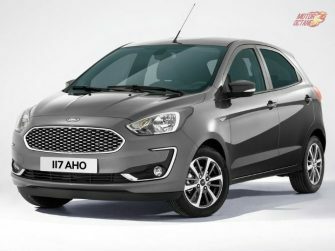 The changes to the Ford Figo 2019 will not be much. It will be a minor facelift. The interior will be updated. A new infotainment system on offer this time and will be the same as the Ford Freestyle. It is a touchscreen system, which is a welcome feature on this hatchback. A new 1.2-litre Dragon petrol engine will also be offered. The car will also get the EcoSports 1.5-litre three-cylinder engine. An automatic transmission will be mated to this engine. It is expected to be more fuel efficient than the earlier engine. 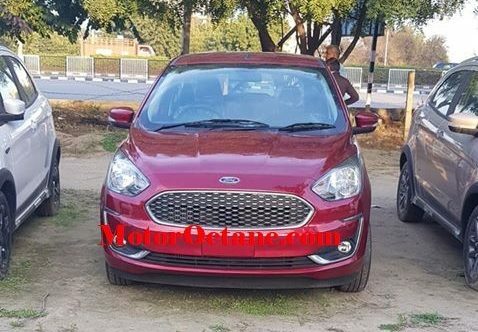 We have now come across some new spy shots of the New Ford Figo 2019, thanks to our avid read Rohit Agarwal. To take a closer look at the car, scroll down through the story. The Ford Aspire is one of the best looking compact sedans in the market and the new one will look more premium. The facelift will be getting new features. It will continue to have an option of six airbags. A new 1.2-litre petrol engine will be offered now. This will be more powerful and offer even better mileage too. Ford will be looking at enhancing sales of its petrol engine and this will be a key one, especially when the sales of automatic are high. There won’t be a major change in the pricing of this hatchback. The new Ford Figo will get additional features to make it more competitive. Its price will be slightly lower than the Freestyle. The new Ford Figo facelift will be launched this month. It will be launched during the festive season. This will help Ford reach out to a wider audience and get a good initial response. The new Ford Figo 2019 will be powered by a new 1.2-litre Dragon petrol engine. This engine will also power the Aspire. It also does duty in the Freestyle. This engine will have a five-speed manual. The diesel will be the same 1.5-litre unit that will churn about 98bhp of power and 200Nm of maximum torque. This will be mated to a five-speed manual transmission only. Both engines are powerful and the diesel especially has been the talk of the town. The 1.2-litre has good enough power for city usage. The major update is the petrol engine. The diesel will see some tweaking to have better driveability. The Figo will have to wrestle with some strong competition in the form of the new upcoming Honda Jazz, the Swift and the Hyundai i20. The design of the Ford Figo will see some minimal changes. The basic design will not change. There won’t be any change to the dimensions. There will be a new front grille and also stylish headlamps. The front fog lamps will be restyled and the front bumper will be new as well. The sides will not see any change. A new alloy wheels design will come this time. The lower variants will get new wheel covers. The rear will also see a new bumper in place. However, the rear design will be identical to the current car. There will not be a major change to the exteriors. Also read: New Honda Jazz worth the wait? The interiors of the new Figo will be more appealing. The design will be the same and it will resemble the Freestyle. The interior them would be all black though. It won’t be brown or beige like the Freestyle or Aspire. This new model will get more features like keyless entry, 8-inch touchscreen system with SYNC 3, reverse camera, navigation and even Android Auto. With the addition of new features, the hatchback will be a better value product. There will be no change in the space of the car inside. The front seats offer decent support. There is more than sufficient headroom and knee room for front passengers. The knee room at the rear is not bad either. Rear AC vents are not going to come with this car. The boot size will also remain the same at 257 litres. The fuel-efficiency for the petrol manual is about 12km/l in the city and 16km/l on the highway. The automatic will return about 11km/l in the city and 14km/l on the highway. The diesel is more efficient at 17km/l in the city and about 20km/l on the highway. The new Figo 2019 will compete will the Suzuki Swift and the Hyundai Grand i10. The Swift is the leader of the segment and the Figo will have to be priced really aggressively to take on the leader. The Grand i10 is also a tough competitor. However, the introduction of the new engine and features will place the Figo in a more competitive avatar.